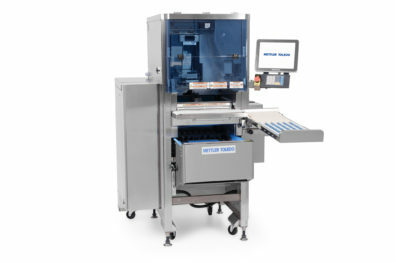 The METTLER TOLEDO 880 Auto Wrapper is the perfect choice for grocery retailers looking for an efficient and robust system for automated weighing, wrapping and labeling in the backroom. The high-performance 880 Auto Wrapper is the ideal choice for food retail backroom operations. Robust, intuitive, and efficient, the 880 Auto Wrapper supports weighing, wrapping and labeling for optimized backroom processes.